Here is the wrap up post on my Belize adventure as promised. I've had a couple of weeks now to reflect on the experience I had there. It was so new to me. I became fascinated by the history and the complex mix of culture and unique diversity. 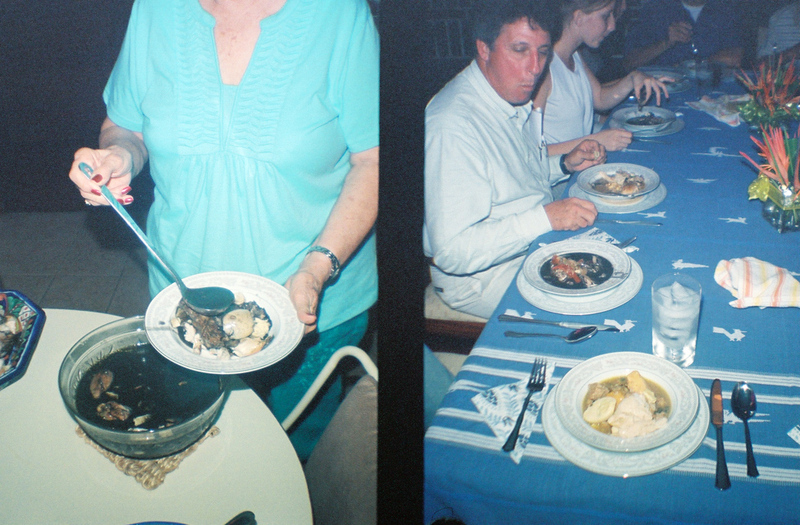 I was completely in awe at how direct the colonization of Belize by the British had it's effect on the food. How it was once a thriving Mayan civilization and now is a mixture of African, European, Asian, and Central and Southern American cultures. Belize is a Central American nation with strong ties to both the Caribbean and Latin America. The main languages are Spanish, English and Kriol. The people are mainly a mix of Mestizo (Spanish and Mayan), Kriol, Garifuna (African and Carib), Mennonite (they have a their own farming region of the country and supply local villages with dairy and poultry), Chinese, Lebanese, and Europeans. It was called "British Honduras" before 1973 and became independent from the UK in 1981. It was finally recognized by the bordering country of Guatemala as independent 10 years later in 1991. So there I was, in a recently independent country, eating food that felt like it. Newly independent, in this strange juxtaposition of agriculture and culture under one jungled roof. Like a child with grandparents from 4 different countries. Proud of it's heritage, but slightly confused as to where it's true identity lies. Every plate of food almost always had white rice cooked in coconut milk. Next to it, a mayonnaise-y potato salad with frozen peas and carrots (1950's style British influence), or a meat pie (British influence), or stewed chicken with recado (anchiote paste, mayan), ceviche (mayan & mexican), fish or a tamale cooked in a banana leaf (mayan), a soup with black recade and edam cheese (Edam cheese, a dutch cheese, Mennonite influence? ), hummus, seafood wontons, and many desserts cooked with condensed milk. Belizean rum next to Pimm's cup. What a strange and interesting mix! I've never experienced anything like this before. These are ingredients that are available to them. The fascinating results of this diverse culture. How did Edam cheese become a staple in their diet? How is "salad cream" an ingredient in a modern recipe way down in Central America? I was impressed with what recipes developed from what was available. In going to the grocery store, I didn't see a lot of great produce, but I was confused because I saw such fertile land. Such warm weather. At the outdoor markets however, there was a bounty of tropical fruit, beans, vegetables, and poultry. Huge avocados. The intriguing mamey fruit. Coconuts for days. Dragon fruit. The magic was in the fruit stands. The small family businesses selling stewed chicken and rice and beans. The families cooking and enjoying eating together. The pride of what they've done with what is imported to them. My whole trip was leading to one event: the launch of the first published cookbook from Belize called, The Flavors of Belize. I was thrilled to be shown around the country in advance to experience and learn what this country was about. Highlights included exploring the stunning and untouched jungles and waterfalls at The Hidden Valley Inn, the snorkeling tour with Kirk from Belize Dive Connection, where I cried in my mask (it was so beautiful!) at the coral reef off Ambergris Caye, and meal time with the cooks and staff. Everywhere we ate, we were welcomed so graciously and I enjoyed discussing food and culture with all of the staff at the restaurants and hotels. One of the many waterfalls in the jungle in the pine ridge reserve near the Hidden Valley Inn. 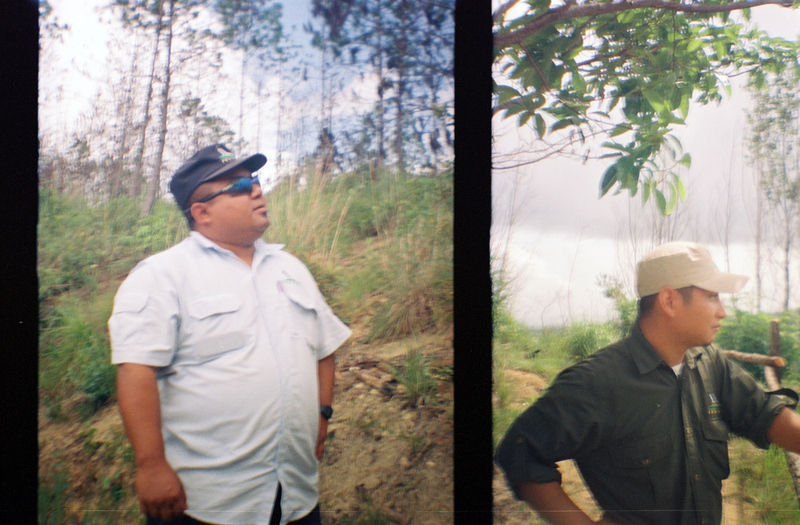 Our nature guides Rick and Freddy in the pine ridge reserve. I loved these guys. Birds and plants galore! We became buds. The book finally had context once I heard Rachel and Tanya speak at the launch party. 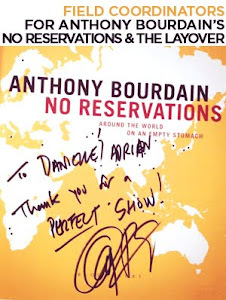 I was completely overtaken with emotion hearing them speak about the warm community of people involved with the restauraunts and creating the recipes for the book. How Tanya's mother and grandmother tested the recipes to make sure of their authenticity, and how so many of their family and friends had offered a hand to help and distribute the book. This was a product of pride and a desire to put Belize on the culinary map. I looked around and saw hundreds of faces, shed a tear at the accomplishment of what Tanya and her family had achieved. I was so thankful to be there. 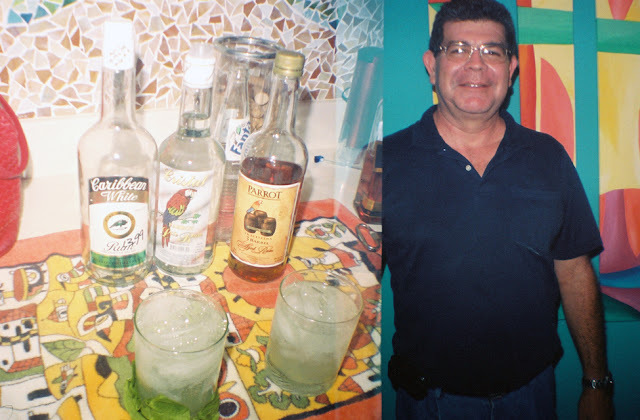 The Flavors of Belize recipes are well written and I was eager to try them with my friends. The book accomplishes the difficult task of being approachable for cooking novices and educational/interesting enough for old pros. It will be the new staple souvenir after a trip to Belize or a key to the country's true heart. An old friend you can revisit time and time again. The background story about how the book came to be and their quest for doing something no one had done before is a wonderful and engaging entry to the book. After a fun evening back in LA where I cooked the stewed chicken, coconut rice, and black beans, I was instantly transformed back to Belize. Marie Sharps hot sauce and all. There is a lot of history and background on the different cultures throughout the book. It's more of a history and cookbook combined into one. From front cover to back and every page in between, this book is a stand out for the country of Belize and a must-have for anyone that comes home from a trip to Belize craving their rice and beans, or, ahem, their beans and rice. I wasn't blown away by the food that I had and at one point, I was discouraged at the lack of fresh produce and the use of so many imported products, especially after seeing how much fertile land there was. I was confused by the products in the stores versus the products sold at the open markets. I couldn't find my culinary footing. 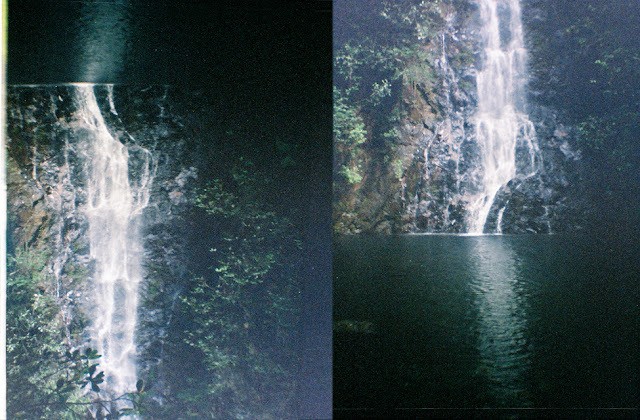 It excited me though, and I was that much more overjoyed at the simple things. The coconut water in a bag. The plantain chips. The beans and rice. The fry jacks. On my last day, in the airport, everything changed. I met a woman named Mara at the airport on my last day in Belize. She was running a project in southern Belize called "Belcampo". I wished I had gone there. I was told about a different area where people wanted to celebrate the Belizean ingredients in an old world/new world way. She told me how they are foraging and grafting rare varieties of cacao plants and coffee. Supplying businesses like Blue Bottle Coffee and Vosges Chocolate. Where Hershey's chocolate had wrecked the Mayan-discovered pure cacao bean, they are now determined to revive the pure and natural bean. The project is headed by a conservation-minded investor from California (Oakland!) and a former Slow Food director. This perked my ears up. I was able to see that there were folks introducing ancient plants and foods back to the locals. They are truly integrating the food and using sustainable farming and butchery techniques and offering workshops to people that are interested. I think this is historical. Doing this in a country that has so many incredible resources and that they have the ability to do something like create a dish with real hearts of palm, with the plant, showing the locals how to use it properly, instead of using it as a canned import product. I noticed this often. A country that is famous for fresh cashews, then going into a market and seeing cashews sold in cans by Planters brand. There are solutions to these problems and I think the team behind Belcampo are doing something really unique by farming these products and making them accessible. I plan to visit next time I go to Belize. Read more about them here. 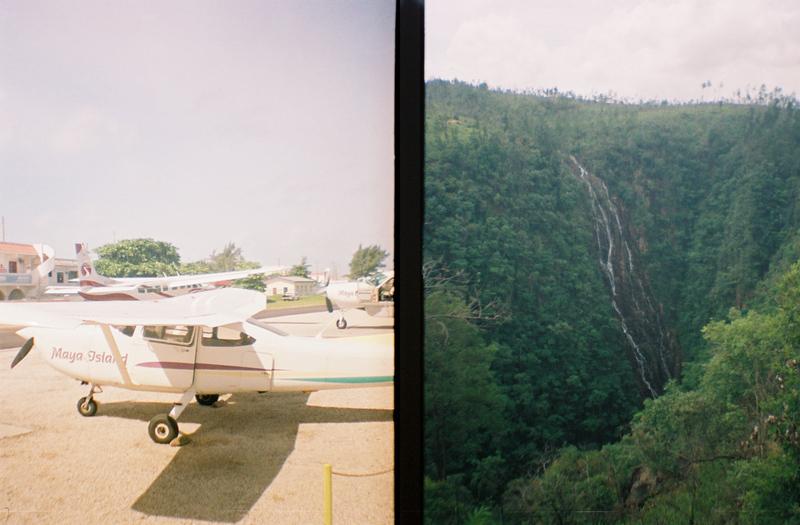 Here are some shots from my little plastic film camera, the Diana. 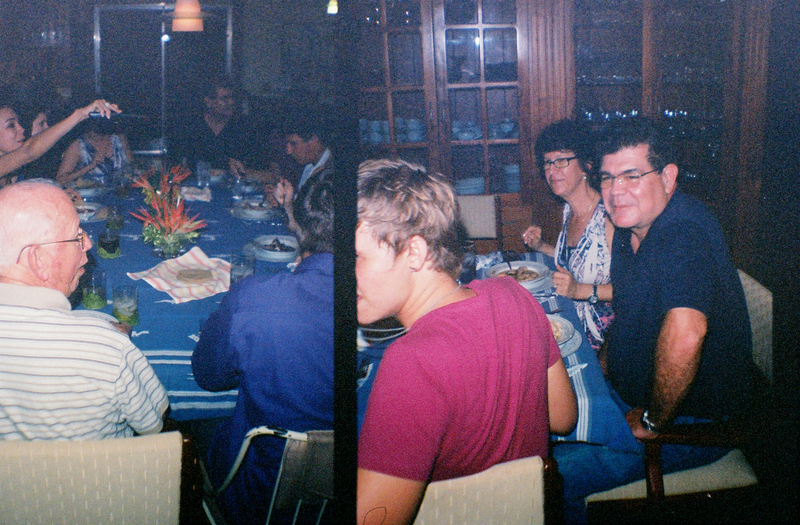 Most of the shots are of my last dinner in Belize at the family home of the McNabs. A true traditional meal of Black and White Relleno and lots of Belizean rum. A big thanks to everyone that hosted me in Belize. I can't wait to visit you again. Belizean rum and Wayne McNab. A wonderful host and super knowledgeable about orchids. Family meal time. Most of the food cooked by Tanya's grandmother. Black Relleno on the left. The black is from the paste that has toasted masa in it. Tanya excited to see the coverage of the cookbook's launch party on the Belizean news. 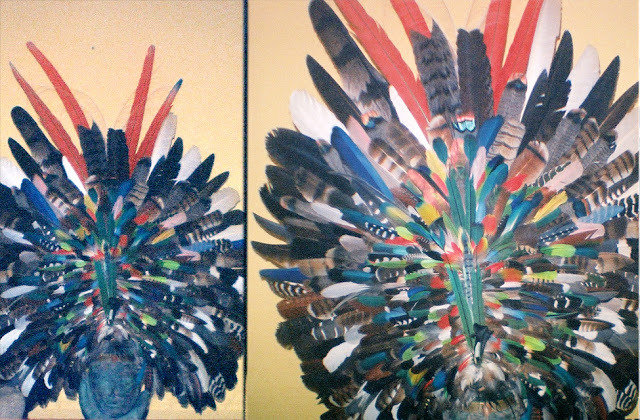 Feathers collected from all of the local birds at The Hidden Valley Inn. Finding serenity on San Pedro. Lots of food cooked up on the square on the island of Ambergris Caye. This is Puerco Pipil with picked onion. This is Chef Jennie Staines of Elvi's Kitchen on the island of Ambergris Caye. We had a delicious coconut pie and coconut curry shrimp here. The menu at Elvi's Kitchen. It was lobster season so we lucked out. Your site is so fun. 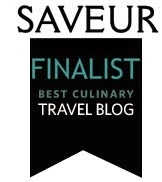 It combines two of my greatest loves: food & travel. I found it through "Random acts of Kelliness." Just started reading but looking forward to getting into it more. Thanks for sharing your adventures. Your enthusiasm is infectious. Your way to explain about your visit pictorially as well as story. Reader really want to be there and experience your exposure. Like Belize, Hatta Village is also a heritage village, Desert Safari is also a way to keep alive the Arabian Tradition, live in deserts.